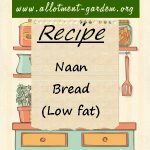 Recipe for Naan Bread. This is the lowest fat version of naan bread I have made (note there is no ghee or melted butter). Recipe for Basic Focaccia Bread. If you wish to put fillings in, put with the flour, salt and yeast. The added bits will just disappear as the bread rises. This Dinner Bread Rolls Recipe makes 18 rolls. You can use strong bread flour or wholemeal flour for a healthier option. Recipe for Bread Rolls. Makes 18 rolls. An "healthier" version can be made by omitting the melted butter at the end! 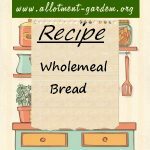 Recipe for Wholemeal Bread. Makes 4 2lb (900 g) loaves. Alternately divide into 8 and make 8 1lb (450 g) loaves. Recipe for Brown Bread. Makes 4 2lb (900 g) loaves. Alternately divide into 8 and make 8 1lb (450 g) loaves. Recipe for Household White Bread. Makes 4 2lb (900 g) loaves. Alternately divide into 8 and make 8 1lb (450 g) loaves. Recipe for Pitta Bread. If the oven and baking sheets are not extremely hot, the pittas won't puff up as they should. Makes 6 pittas. Recipe for Granary Bread Sticks. 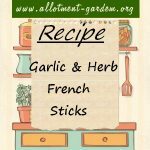 Makes two granary sticks. Can also be made into two small granary cobs by shaping the dough into two rounds. 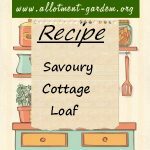 Recipe for Savoury Cottage Loaf - includes cheese and grilled bacon. An unusual bread recipe that results in a meal. Recipe for Truita de Farina (Flour Omelette or Catalan Chapati). This Catalan recipe is actually served as a first course and best followed by a salad. This is the regional dish of North Staffordshire, food of the Gods. The recipe used to be a closely guarded secret but now they can be enjoyed by all.